After the violent events in Rinkeby the other night, Donald Trump and his followers got more grist for their mills than they could possibly have hoped for. The Swedish political elite is now in Defcon 1 to minimize the alleged damage to Sweden’s image in the wake of the president’s comments and Fox News’s “fair and balanced” reports about paradise lost. While the newspaper’s own photographer was robbed and severely beaten and shopkeepers in Rinkeby got their stores smashed and looted, the cops remained in their vehicles, writes Swedish daily Dagens Nyheter’s reporter Lasse Wierup. The images of burning cars were rapidly disseminated across the world and received widespread international media attention. The timing was, depending on whether your name is Trump or Löfven, totally terrific or completely disastrous. Since the early 1950s, the Swedish establishment has been hard at work trying to compensate for the country’s cowardly and turncoat stance during World War II. Eventually, they have managed to create an image of Sweden which largely lives up to the cliché of “humanitarian superpower.” Simply the world’s nicest and safest country. An almost perfect place on Earth. Though we won’t shout it from the rooftops, for we are just too good for braggadocio, too. But thanks to the impact of social media, this official image is being questioned. One could speak of a diversity of images that are being disseminated; events which convey a different impression of contemporary Sweden. Politicians and pundits are concerned that the Brand of Sweden®, which they apparently consider themselves the owners of, is being tarnished. 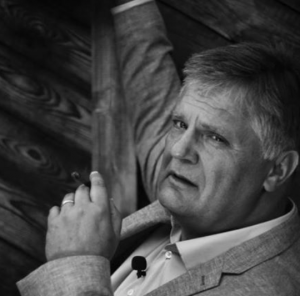 Former PM Carl Bildt has started to tweet Trumpian statistics and accuse the president of smoking dope, and Olle Wästberg, former Consul General to New York and Director-General of the Swedish Institute, has been bouncing around TV and radio studios like a greased lightning in an attempt to put out the fire. The strong reaction of politicians and pundits is rooted in a deep frustration and fear of losing control of both the agenda and the brand; perhaps the country itself, to “populism.” It is alleged that the images of Sweden that are flying around the world are distorted and incorrect – well, downright mendacious. But calling a lie presupposes the existence of truth. One of the basic tenets of postmodern theory is that there is no objectivity and that we cannot see nor portray objective reality. There are only subjective narratives, and whatever we do, our interpretations are biased and cannot be applied universally. In other words, there are as many truths as there are people. Which makes everything relative. It is because of Trump’s cocktail of half-truths, gross exaggerations and outright lies that truth is experiencing a renaissance among those who long have denied its very existence. The response of former proponents of postmodernism and relativism has been unequivocal: Fake news and post-truth claims must be stopped! Well, by dusting off that ugly, old objectivity and the idea that it is possible to depict reality in factual terms. Now, suddenly, we are to talk about facts instead of discourse and narrative. However, in that case, Sweden’s image should also be based on facts, and not utopian fiction or spin doctoring. No matter how dependent on exports, a country is not a product whose primary purpose is to be sold on the international market. The point of a democratic state is to ensure citizens’ well-being, security and freedom. Our politicians and bureaucrats should devote their efforts and energy to solving our problems instead of fussing over the country’s image. And … no, people will not stop listening to Zara Larsson on Spotify and Ericsson will not sell fewer 5G systems, no matter how many cars are torched in Rinkeby and Rosengård. The tourists will not stop visiting Stockholm – even if, as in the case with any other destination – they will be smart enough to avoid areas that are considered less safe. That’s called common sense. As the humanitarians and philanthropists that we are, we should rejoice at the fact that there’s a crack in Sweden’s image as a utopian paradise. For such fantasies are better suited for totalitarian ideologies. We should be pleased that Sweden is actually populated by ordinary people, just like most other places around the world. 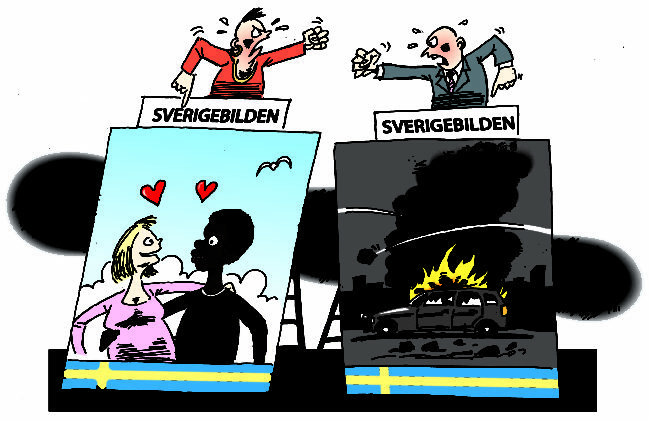 Welcome to Sweden! Here, most people are good, but we have few rotten apples. Most things are great, but we also have some problems. We do our best to solve them. For the cops to be allowed to leave the safety of their vehicles during a violent riot – an event which further victimized some of society’s most vulnerable – would be a good start.